Need a Tax Deduction? Support SkyTruth! As 2010 draws to a close, we breath a sigh of relief. 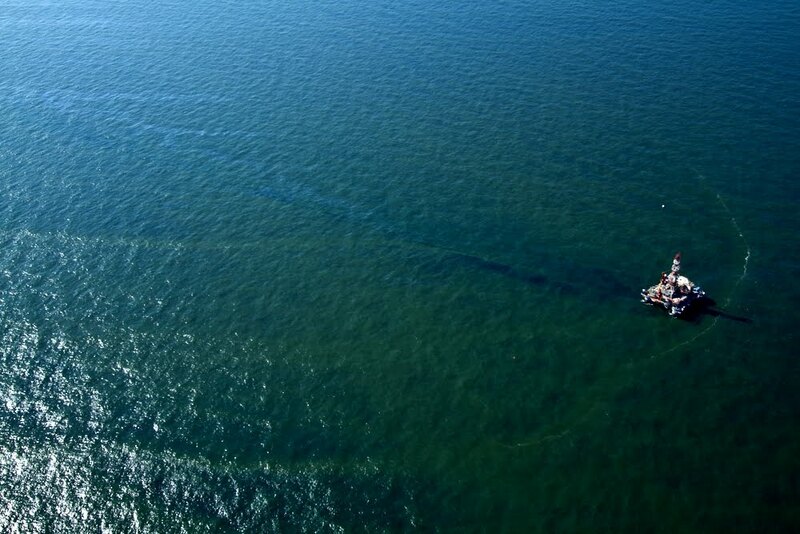 The BP / Deepwater Horizon disaster in the Gulf of Mexico tested our ability to collect, analyze, and publish images and information day in and day out for almost four months, and attracted major media attention. Following up to ensure that the important lessons are learned from this tragedy — and to ensure that those lessons are acted on by government, industry, and we consumers — will keep us busy throughout 2011. And of course, there’s plenty more going on around planet Earth that SkyTruth investigates and reveals. In 2010 we discovered a chronic oil leak in the Gulf unrelated to the BP disaster; followed up on the Montara blowout and oil spill off Australia; responded to the massive earthquake in Haiti, generating images showing damage in Port-au-Prince and oil spills in the harbor; looked at a few of the problems posed by coal, including coal dust in Alaska, the lingering effects of a coal-sludge spill in Tennessee, and coal strip-mining in Australia; we simulated the likely buildout of a proposed open-pit gold mine in Alaska and superimposed it on Seattle for scale; we showed the impacts of a toxic alumina sludge spill in Hungary; and helped researchers establish a direct correlation between mountaintop removal mining in Appalachia and downstream water contamination by selenium and other dangerous substances. And that’s why SkyTruth is growing. With your help, SkyTruth will keep a steady eye on Planet Earth to monitor, investigate, and reveal the impacts of drilling, logging, mining, pollution, climate change and other forces that are altering our environment. We think that anyone who cares about what’s happening to our environment — good or bad, anywhere in the world — should be able to see it for themselves. That’s why we hope you’ll support us by making a tax-deductible donation to SkyTruth today! 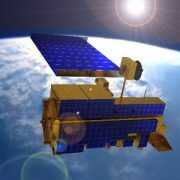 https://skytruth.org/wp-content/uploads/2010/12/terra_satellite.jpg 300 400 John Amos /wp-content/uploads/2016/08/test_logo.png John Amos2010-12-30 16:45:002019-02-27 13:51:59Need a Tax Deduction? Support SkyTruth! 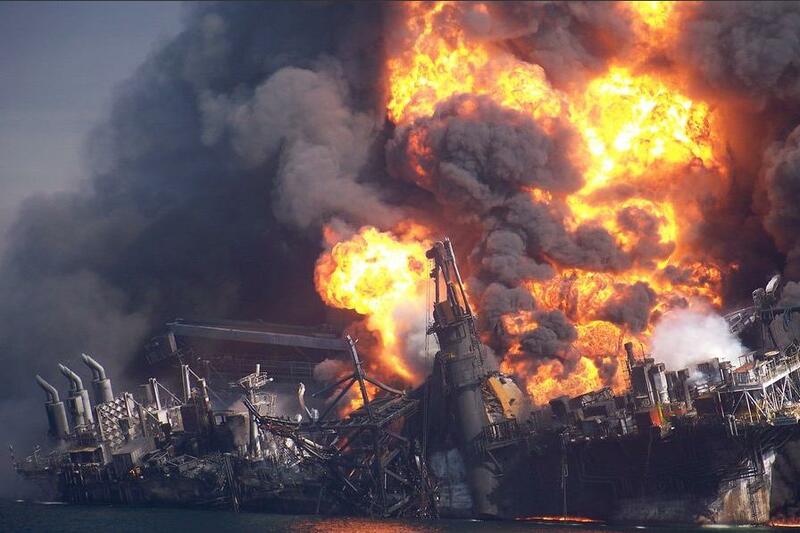 Final Hours Of The Deepwater Horizon – Why Did It Sink? 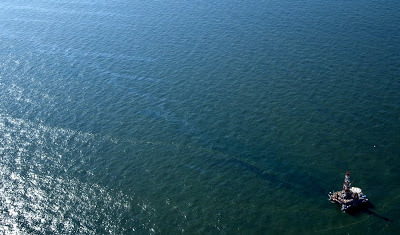 Deepwater Horizon semisubmersible drill rig sinking in the Gulf of Mexico, April 22, 2010, following blowout of BP’s Macondo well. Photo courtesy of The New York Times. 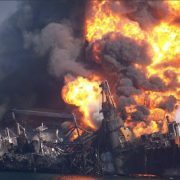 The New York Times has published a detailed, harrowing account of the what it was like to be onboard the doomed Deepwater Horizon drill rig when the Macondo well blew out on the night of April 20, triggering a series of explosions that ignited an inferno and killed 11 men. One survivor tells his story on an accompanying video. 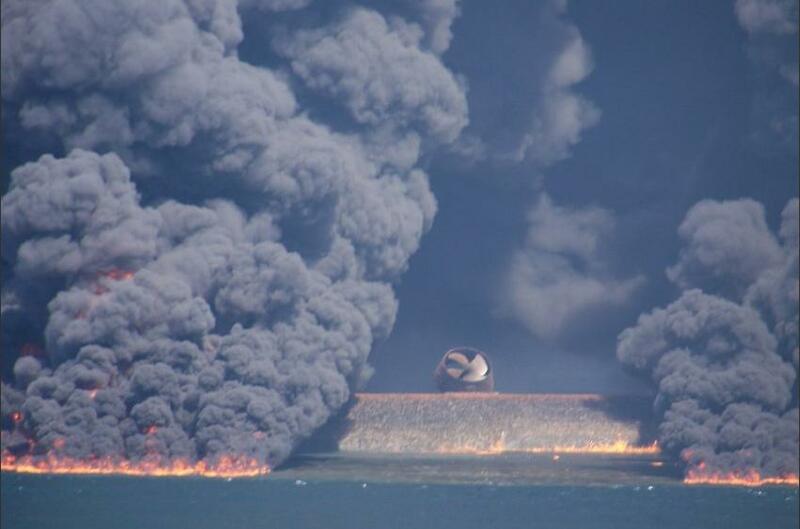 A slide show includes new photos of the burning rig taken by a worker on a nearby boat in the final hours before the Deepwater Horizon sank into the Gulf of Mexico on April 22, initiating the biggest accidental oil spill in history. Deepwater Horizon rig capsized and moments away from slipping beneath the waves in the Gulf of Mexico on April 22, 2010. One of the thrusters used to keep the rig on station is visible. Photo courtesy of The New York Times. https://skytruth.org/wp-content/uploads/2010/12/deepwater_horizon_sinks_NYTimes_26dec10.jpg 267 400 John Amos /wp-content/uploads/2016/08/test_logo.png John Amos2010-12-28 14:57:002019-02-27 15:41:45Final Hours Of The Deepwater Horizon - Why Did It Sink? SkyTruth – Big Changes for 2011! 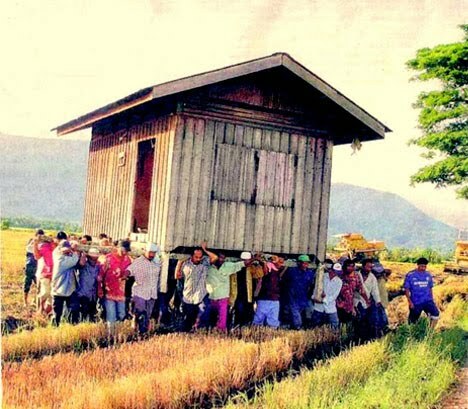 That’s right – we’re moving. So please excuse our silence lately as we change from our original office space of the past decade (!) to new offices in the funky old Entler Hotel, located in the pulsating heart of downtown Shepherdstown, WV. Thanks to all of you who are supporting SkyTruth. We have plenty of work to do in 2011, tracking oil pollution in the Gulf of Mexico and other areas around the world; measuring the impacts of mountaintop mining on landscapes and water quality; monitoring and forecasting the spread of natural-gas drilling in the Marcellus Shale; illustrating the impacts of logging, mining and climate change; and responding to environmental emergencies, like the BP spill this year, to ensure that accurate information is getting to responders and the public. If that sounds like something you’d like to be part of, please make a tax-deductible donation. We are a 501(c)(3) non-profit organization, and it’s your help that keeps us on the job! 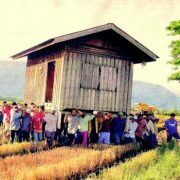 https://skytruth.org/wp-content/uploads/2010/12/moving.jpg 350 400 John Amos /wp-content/uploads/2016/08/test_logo.png John Amos2010-12-14 10:43:002019-02-27 15:56:53SkyTruth - Big Changes for 2011! Yesterday I attended the final public hearing of the presidentially-appointed National Commission on the BP Deepwater Horizon Oil Spill and Offshore Drilling (aka, the “Spill Commission”). The attendance was sparse – only about 15-20 folks were in the public audience, and several of those seemed to be Commission staff members. I hope people are watching this online (streaming here right now, until the meeting wraps up at 3pm this afternoon) because the staff reports and recommendations cover a broad range of issues, the Commission deliberation is thoughtful, and this is a good preview of what the final report to the President will – and will not – address. We also stumbled on a small but persistent spill nearby, unrelated to the BP spill, and apparently known to the MMS and Coast Guard but generally not known to the public at large. 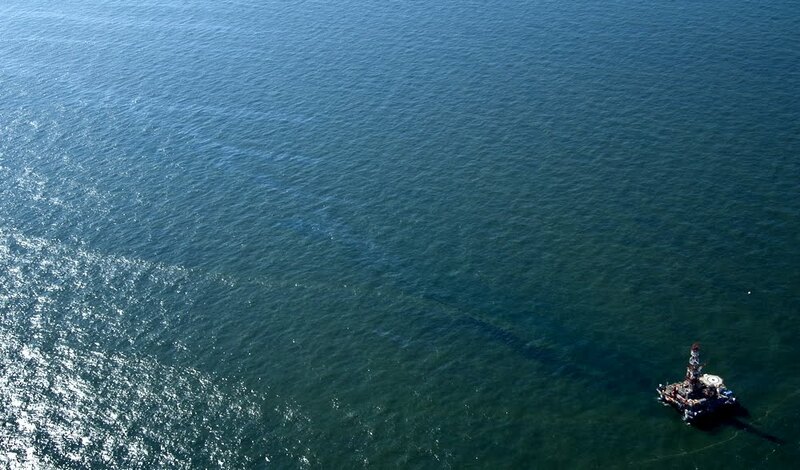 This spill was caused by a group of wells damaged by Hurricane Ivan in 2004, and presumably leaking ever since. 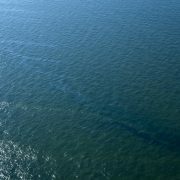 Satellite images, especially radar images, have been regularly used for decades to detect and track oil pollution at sea. 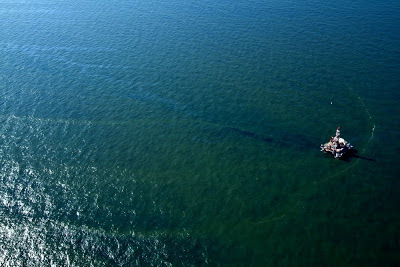 During the 1990s I personally performed dozens of commercial exploration studies for energy companies, using satellite images to detect small, persistent oil slicks caused by natural oil seeps on the seafloor worldwide. 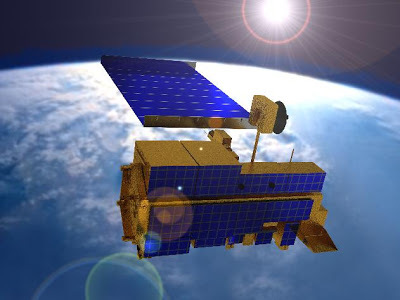 Now, with an expanded constellation of earth-observing satellites in orbit, including several radar imaging satellites, routine ocean monitoring is technically feasible. In your final report to the President, I hope the Commission recommends that the nation moves expeditiously to implement routine, publicly transparent satellite monitoring of U.S. waters to detect and assess pollution and other threats, and to assure the American public that their government is effectively managing and protecting our vital marine resources.